The little-known champions of Irori give their lives in service to the perfection and uplift of society, their ultimate goal to create a safe and orderly world within which each person can find and perfect her true purpose in service to the whole. In their ethos, only through the accumulated perfection of each individual can societal transformation truly occur. Though Irori's core teachings apply equally to good, evil, and neutral individuals, champions of Irori focus on embodying and promulgating the virtues of hard work, discipline, and devotion to the causes of justice, truth, and the pursuit of perfection. It is only through this pursuit that individuals can realize true joy and liberate themselves from the cycles of reincarnation to serve the Master of Masters in the life beyond life. To qualify to become a champion of Irori, a character must fulfill all of the following criteria. Skills: Knowledge (religion) 5 ranks, 5 ranks total in Linguistics or other Knowledge skills. Special: Smite evil class feature, still mind class feature. The class skills of a champion of Irori (and the key ability for each skill) are Acrobatics (Dex), Diplomacy (Cha), Escape Artist (Dex), Heal (Wis), Knowledge (all) (Int), Perception (Wis), Sense Motive (Wis), and Spellcraft (Int). The following are class features of the champion of Irori prestige class. Weapon and Armor Proficiency: A champion of Irori gains no additional weapon or armor proficiencies. This ability functions like a paladin's detect evil ability, but detects chaos instead of evil. The class levels of a champion of Irori stack with monk levels for determining the effect of his AC bonus, flurry of blows, stunning fist, and unarmed strike class features. At 1st level, a champion of Irori gains an additional use of his paladin's smite evil ability. In addition, he can choose to use his smite evil ability to smite chaos instead, affecting chaotic-aligned creatures and dealing 2 points of damage per class level on the first successful attack against outsiders with the chaotic subtype, chaotic-aligned aberrations, and fey. Levels in this class stack with paladin levels for the purpose of determining how much damage a paladin of Irori deals to targets of his smite. A champion of Irori cannot have both a smite evil and smite chaos effect active at the same time; using one while the other is active immediately ends the older effect. At 8th level, a champion of Irori gains an additional use of his smite evil ability. 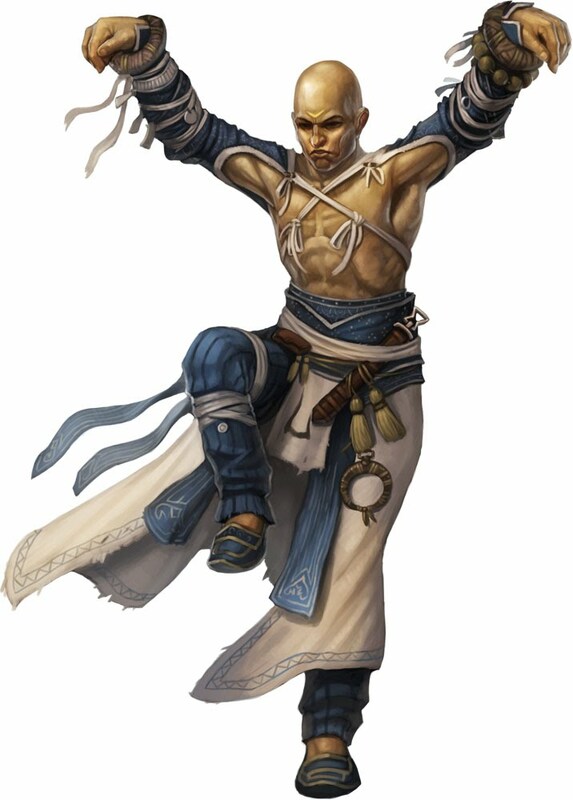 At 2nd level, a champion of Irori gains a ki pool equal to 1/2 his class level + his Wisdom modifier; this functions like the monk ability of the same name, and levels in this class stack with levels in other classes that grant a ki pool. In addition to the normal uses of this ki pool, a champion of Irori may expend 2 ki points to trigger either his lay on hands ability (if he has it) or his smite evil ability. His class levels stack with paladin levels when determining the effect of such abilities. At 2nd level, a champion of Irori adds 1/2 his class level on all Knowledge checks and can make Knowledge skill checks untrained. At 3rd level, as a standard action, a champion of Irori can make a single unarmed strike while using his smite evil or smite chaos ability. If the attack hits, he can make another attack at the same bonus against an evil or chaotic creature adjacent to the first and also within reach. He gains the benefits of smite chaos or smite evil (whichever he was already using), except for additional damage for the first attack, against that creature until the beginning of his next turn. This does not require an additional daily use of smite evil or smite chaos. At 6th level, a champion of Irori can use this ability to attack any number of opponents, as long as each is within his threatened area and adjacent to the previous target. This ability functions similarly to the Cleave and Great Cleave feats, but does not stack with them and does not result in an AC penalty. At 4th level, a champion of Irori gains a sacred bonus on attack rolls and to AC equal to 1/2 his class level when adjacent to more than one opponent. He does not gain this bonus if he is also adjacent to an ally. At 5th level, as an immediate action once per round, a champion of Irori can shield a number of adjacent allies equal to his Wisdom modifier from a burst, cone, line, or spread effect that allows a Reflex saving throw and which he and his allies are all affected by. The champion of Irori must forgo his own saving throw, but adjacent allies gain improved cover against the effect, providing a +4 bonus on Reflex saves and improved evasion against the effect. At 6th level, a champion of Irori becomes well practiced in a certain number of his skills. This ability functions exactly like the skill mastery advanced rogue talent. At 7th level, once per round a champion of Irori can make an attack of opportunity against an enemy he threatens when that enemy confirms a critical hit against the champion or an ally. The champion of Irori can make this attack of opportunity even if he would be killed or incapacitated by the critical hit, resolving the attack after the critical hit deals damage but before he falls unconscious or dies. If the champion of Irori's attack of opportunity hits, it is automatically a critical threat. At 8th level, as a standard action, a champion of Irori can resolve a single unarmed attack as a melee touch attack. At 9th level, a champion of Irori can expend 1 point from his ki pool as a swift action to perfect the next unarmed attack he makes before the end of his turn. Attack and damage rolls are rolled twice and the champion of Irori selects which result to use. At 10th level, as a full-round action, a champion of Irori can make one unarmed strike against every creature he threatens, as if he possessed the Whirlwind Attack feat (though he can use it only with unarmed strikes). He can also trigger either his smite evil or smite chaos ability while doing so, gaining its benefits against every creature he attacks for a number of rounds equal to his Wisdom bonus. A champion of Irori embraces law and goodness as other paladins do, conducting himself with honor and protecting the innocent; he loses all class features if he ever willingly commits an evil act. A champion of Irori must avoid entanglements that would distract him from the pursuit of perfection, and may not incur debts nor give loans to others—though he is encouraged to give freely to those in need. He likewise turns away potential followers of any sort, and may not recruit (and must discharge from service, if already acquired) any cohort, follower, animal companion, familiar, special mount, or similar creature.